There are a hundred or so stats surrounding ecommerce, and it seems like the number one concern for the players in this industry will always be conversions. Conversions equals new sales equals more revenue, so it does make sense. Which brings up the question; is ecommerce video production actually beneficial to your overall revenue, or is it an optional expense you can do without? We break down the role of video in the ecommerce industry. The product video can be used to increase conversions. 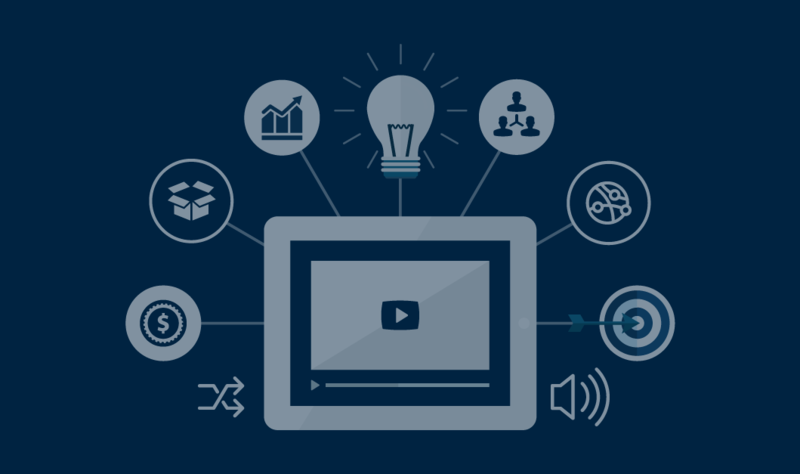 There’s no denying that video content is highly consumable. Effective ecommerce video production is all about creating audio-visual content that engages, entertains, and educates. Whether integrated with paid advertising or released via social media channels, product videos can entice viewers and convert them, making it an integral part of your sales and marketing strategy. When integrated in a welcome series email or a Facebook advertising campaign targeted at existing customers, ecommerce video production can also increase your AOV (Average Order Value). Product videos can introduce existing consumers to your best-selling products or your new merchandise line, prompting them to learn more (and, ideally, eventually buy your new products). And on that note, product videos are also excellent for attracting new customers. Whereas paid advertising might work better on your existing loyal consumer base, content marketing works best for bringing in leads and new sales. This is important; people don’t like being sold to. They would rather consume content at their leisure, and getting pop-up advertisements and obvious sales pages on their feed can turn them away from your brand. Well-made product videos can pique the curiosity of online consumers—especially those open to trying a new brand or shopping around for a particular item. Integrating a bit of target marketing with your video marketing strategies can yield incredible results. While it’s an excellent idea to start adding product video to your product page, the possibilities for product video go beyond that. You can use them in email campaigns (nurture emails, welcome emails), paid and social advertising (Instagram or Facebook campaigns), and content and social media posting (video series, video blogs). Email Series—For welcome emails, product videos can increase your AOV. Use these to welcome new consumers to your brand, introduce them to some of your best-selling items, and give them an idea of your brand’s voice. For nurture campaigns, use product videos to inform old or loyal consumers of new products or a new merchandise line. Paid/Social Advertising—Integrate your product video into your social media posting and use target marketing to get your video up in front of your ideal audience. This can attract new customers and increase conversions, especially if your video is enticing enough to get viewers to click-through to your website. Content/Social Media Posting—By posting regular content to your social media channels, you stand to increase your AOV and nurture your existing consumer base. Putting out product videos even just once a week can keep your social media presence active and your existing customers interested. You can also use these videos to inform them of new products, special promos, and other important company events. According to BigCommerce, 49% of online shoppers hate the fact that they can’t physically touch a product when they’re online shopping. After all, product images can only show so much. Most of the time, people are attracted to products visually, but it’s their sense of touch that usually makes the purchasing decision for them (i.e., the shirt fits and is made of great material, the vase is heavy enough to be worth the price, the earrings really are lightweight and feel like quality silver). Your product page should do it’s best to alleviate the product anxiety that comes with online shopping. Aside from being as accurate as possible with your descriptions and measurements, your product images should also be on-point: little to no editing (to preserve the color), good lighting, and a mix of model shots and solo shots. Ecommerce video production can further help ease the product anxiety by way of interactive 360 product videos. 360-degree videos are interactive videos that allow the user to control the camera so they can view the scene from every possible angle. Integrating it into your product page can give the shopper a more solid idea of what the product looks like overall. It can also create a more interactive user experience.